I've been on a bit of a hunt lately to find the perfect serum... or serums, even. I've been playing around with different serums lately that serve different functions, sometimes layer them and sometimes using them on their own. The great thing about serums is that you actually can layer them if you want to use different serums for different purposes. For me, I definitely have anti-aging concerns, but I also really want to pack a little bit more of a moisture punch with my serum and also brighten up my overall complexion. So basically I want everything but the kitchen sink. Not too much to ask, is it? 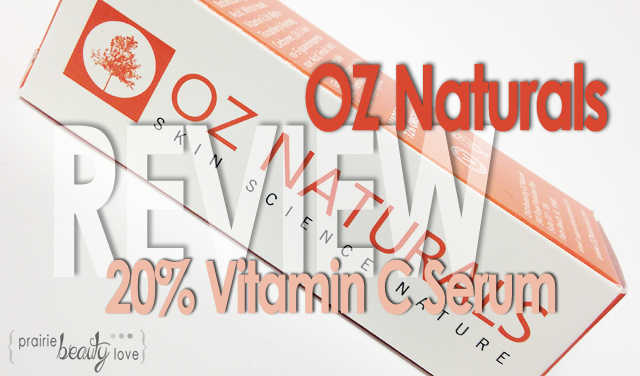 Enter the Oz Naturals 20% Vitamin C + Amino + Hyaluronic Acid Serum*. I've been trying this product out for the past week or so (during some of my most vicious hormonal skin issues) and I'm ready to give my initial thoughts on it! Keep reading for a closer look and to hear what I think! "ALLURE MAGAZINE'S Best In Beauty Vitamin C Serum - It's widely considered to be the most effective organic vitamin c serum available & is proven to dramatically increase the production of collagen and cellular turnover - Resulting in a much smoother texture and even skin tone - We guarantee you'll notice a much more youthful and radiant glow! This product comes houses in your standard dark glass bottle and contains a dropper for dispensing the product. When it comes to serums, I pretty much demand that the packaging has either a pump or a dropper, but I actually do prefer a dropper because it does offer more control over how much product you're dispensing. I would say that when it comes to this packaging, this is very simple and utilitarian, and I actually like both of those things about it. When it comes to skincare, I want my packaging to be functional more than I want it to be pretty. For me, the claims on this product are exactly what I want a serum to do. 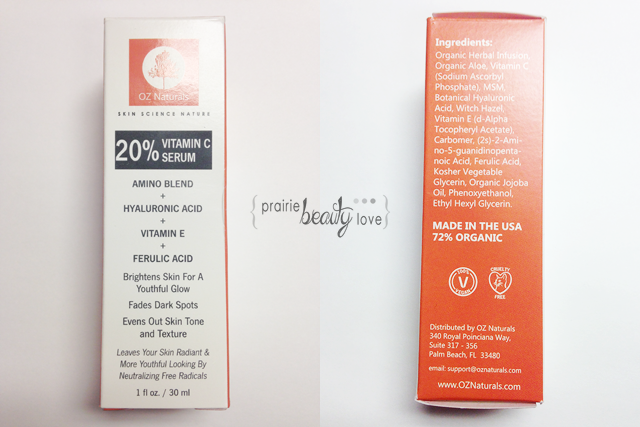 It claims to brighten skin, fade dark spots, and even out skin tone and texture. I'll take two, please! When I look through the ingredients list, I'm pretty happy with both what's in there and what isn't. This product doesn't contain any of the big nasties that people are trying to avoid. For me, the specific nasties that I try to avoid using on my face are alcohol and sulfates because they are drying. I am, however, wishing that I knew what was actually included in the "Organic Herbal Infusion", but I have to assume that it's water. Herb water? I don't know. For me, the winning ingredients in this product are the ones like hyaluronic, glycerin, vitamin E, ferulic acid, and jojoba oil. These ingredients all pack a lot of punch for the skin, particularly as far as being antioxidants and humectants. (I am BAD at talking about the technical parts of this, so sorry for the disjointedness.) Overall, I really like the ingredients list, because there are really so many good ones in here. 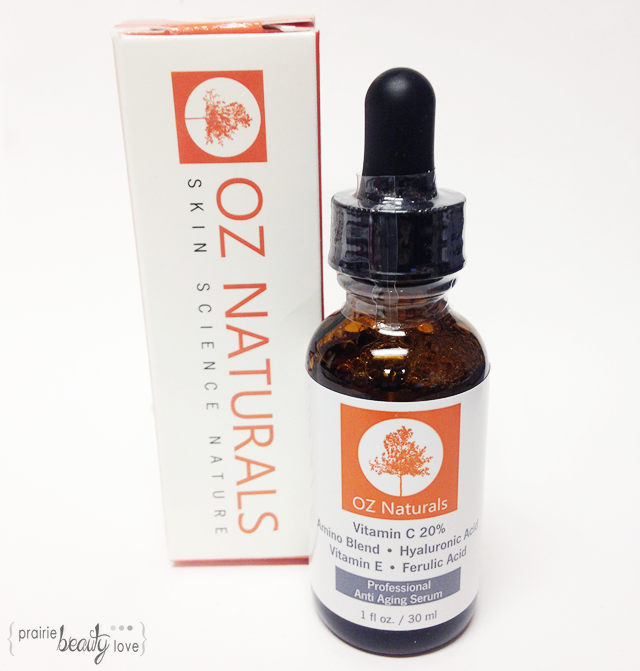 The consistency of this serum is very much like slightly thicker water. It's thin and completely clear. Because of this, the way that I like to apply it is to dispense a small puddle into the palm of my hands and press it into the skin rather than rubbing it in. 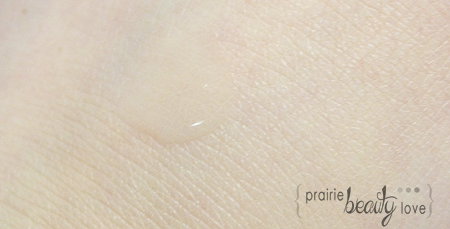 I then let it completely soak into the skin before applying any other serums or moisturizers. I haven't experienced any tingling with this product, which is generally common with Vitamin C serums, and I'm not sure whether that's a good thing or a bad thing but I'm chalking it up to good. Obviously, I will have to use this for a longer period of time to see any significant results, but I do like the claims and I love the ingredient list so I'm in it on this one. I'm going to keep using this and see if I see the same kinds of results that so many reviews on Amazon say they've seen!